This is a list of the most incredible folks to ever grace me with their support. Podcasters, Patrons, Dice Mongers who took a chance on me. All of them are beloved by the moon and by a 30-something nerd. This is my memorial to all they’ve given me. Without them, I’d not be here. Paul Wright aka “Iceoverlord” – claims he’s a nobody, literally changed my life. A talented editor in his own right, I feel like I should be paying him just to keep him around. James Fuhriman aka “FuhriFuhrball” – The most chill dad-guy I know. His understanding and seemingly endless support makes him an unbearably wonderful pillar of my community. 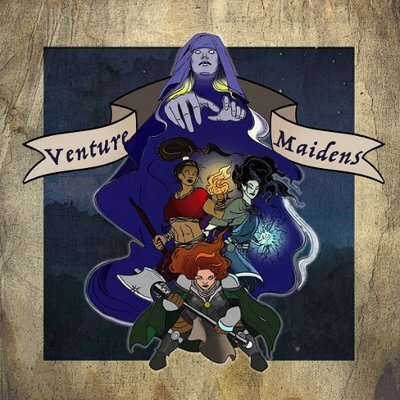 The Venture Maiden’s Podcast. These wonderful people have been supportive, kind, endearing, and so involved in the community I can not help but gush about them every chance I get. You must go listen to their podcast. 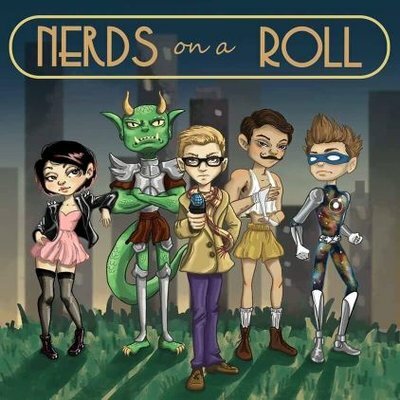 Nerds on a Roll hit the nail on the head for Superhero podcasts. The cast has great chemistry and each of them were and are supportive to the max. Though, you’ll have to ask yourself who’s your favorite: Kid Katie or Golden Glove? Check out their podcast, you’ll love it. 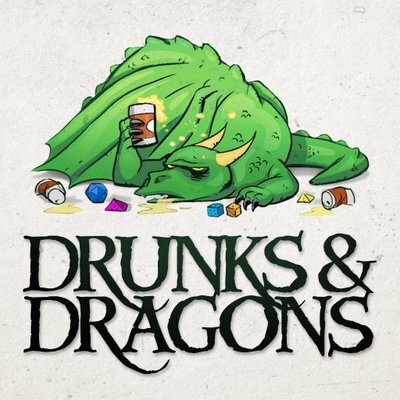 Drunks and Dragons. Listen, I don’t drink. And I’m not a dragon. This podcast shouldn’t be for me, right? Tim, Michael, Jennifer, Mike, and Nika are wonderful entertainers. I’ve listened to over 400 episodes of their podcasts no fewer than seven times. Please PLEASE don’t miss out on this Academy of Podcasting Award Winning Podcast.